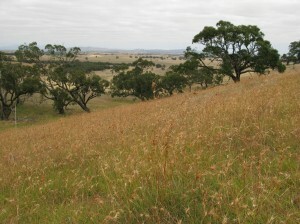 Site focus: Investigating grazing management techniques for native grasses to maintain a high level of native perennial vegetation for increased productivity and ecological balance. Pastures, soils and landscapes on the farm: Native perennial pastures on slopes and hills, exotic perennials and crops on lower slopes and flats. Very fine yellowish brown sandy clay loams, sedimentary in origin. The main property includes about 230 ha of steep hill country with native grasses and remnant grassy woodlands. This area had been run down with large set stocked paddocks where bare ground, rabbits and erosion gullies were management challenges. 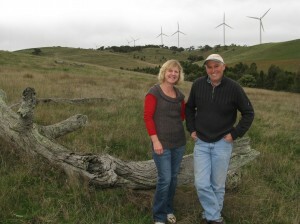 When Ian and Susan took over their share of the family farm their first goal was to control rabbits land-class fence the hill tops to provide better grazing control, manage native grasses and prevent erosion. About 10 % of the property is covered by shelter belts now. 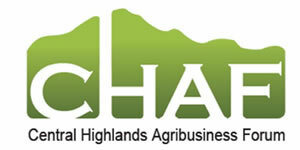 Through Landcare and with the help of Agriculture Victoria and the Glenelg Hopkins CMA, the Maconachie’s became involved in projects looking to better manage native grasses. This led to their involvement as an EverGraze Supporting Site. The Maconachie’s were keen to increase the density of perennial native species and improve productivity and utilization of pastures grown in these marginal steep hill landscapes. All native grasses need some type of biomass reduction (grazing, burning or mowing) to remain healthy. Grazing alters the frequency and density of individual plants with consequent impacts on the persistence and productivity of those species. Native species vary in their ability to recover and persist after grazing. Under continuous grazing, native perennials often decline and introduced annuals dominate the pasture. Grazing heavily in spring before seed heads of annual grasses mature, to increase the amount of seed produced by perennials while reducing the seed produced by annuals. Withholding grazing from mid-spring to summer/autumn for perennial plants to set seed and conserve energy, leading to higher recruitment of new plants and tillers in following seasons. The grazing strategies investigated at this Supporting Site include deferred grazing or spelling of hill country from mid spring to late summer to allow seed set of native grasses and more detailed investigation to refine those findings to help micromanage different aspects in hill country. Ian says that based on the grazing strategies developed through the projects they have been involved in, they can now run the hills as productively as the flat country. “Our stock do much better. The worm count in sheep from the hill country is a lot less than sheep from the flat country. We also increased plant diversity and manage the hill country better, especially in good seasons when we can take stock off the hills to allow deferred grazing during summer. In summer months, sheep are rotated in parts of the hill country as well as the low country, including the crop stubbles. The only time we need to supplementary feed sheep is in summer, but we usually try to reduce numbers before then. The hill country used to be bare. Now it is grassed. Before we implemented grazing management in the hills, we could only have about 2.5 sheep per hectare. Now we are able to comfortably have 5 sheep per hectare. The cost of production for hill country actually does not amount to much apart from initial costs to put in some extra dams and fencing. In fact, costs have been reduced through not drenching sheep as much. Sheep are a lot bigger and healthier. The low input approach in the hills allows us to invest in improving the more arable lower country and flats where we put about 150 kg/ha of single super phosphate on to maintain exotic perennial pasture species and rotational cropping. We are still not able to lock up all of the hill country for deferred grazing as we have not enough flat improved land close by, especially while the crops are still in. We have come a long way since we took over the farm and addressed land degradation”. The Maconachie Supporting site was a component of a broader series of grazing experiments conducted by Agriculture Victoria between 2002 and 2010 on the steep hills near Ararat. The native pasture management experiments attracted attention with the project team winning the I 2011 Primary Elements Award for Environmental Sustainability and was runner-up of the Future Farming Systems Research 2011 Science Award. In March 2013, the ‘Native Pasture Management’ Team won the prestige’s 2013 Samuel Wadham Practice Change Award. Thank you are extended to Ian and Susan Maconachie for hosting the site. This trial was supported by Caring for Our Country, Agriculture Victoria and Future Farm Industries CRC through the National EverGraze Project.